Listing courtesy of David Shemesh (CalBRE#01836977), Keller Williams Realty Calabasas. 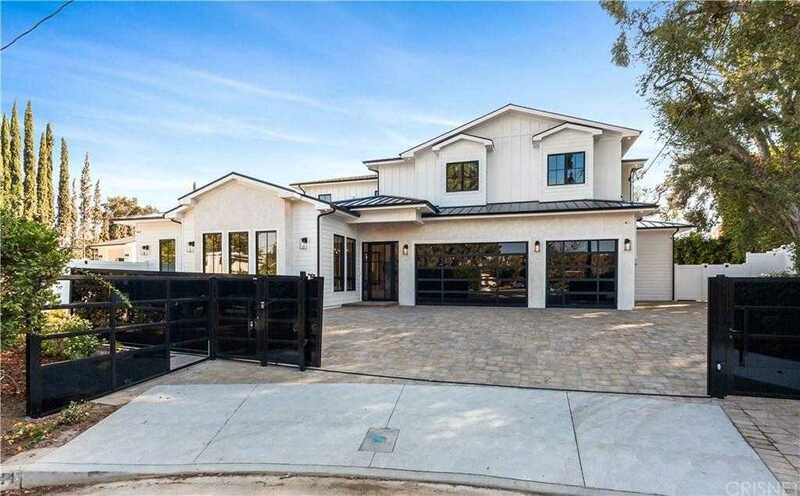 Spectacular Trophy New Construction home in prime Encino AMESTOY ESTATES on a beautiful Cul-De-Sac Street. Quality and attention to detail is an understatment, high ceilings and open floor plan through-out. Expansive entertaining spaces including a dramatic living room with wood beams and oversized formal dining room. Gorgeous gourmet kitchen with top of the line Sub Zero and Wolf appliances opens to family room and grounds beyond. European white oak floors throughout. Luxurious Master suite with soaring ceilings and a stunning bath. State of the art media room w/ 110 , 3 car garage, your private wine cellar. Control4 Smart Home Automation. Gorgeous private yard with a SPORTS COURT and a sparkling pool/spa and outdoor pool house with a separate bathroom and plenty of sitting for your guests. This is a MUST SEE!!! Building size: 6310 sq ft. Please, send me more information on this property: MLS# SR19060772 – $3,999,000 – 5044 Andasol Avenue, Encino, CA 91316. This content last updated on April 18, 2019 16:38. © 2019 David Shemesh. All Rights Reserved. Real Estate Website Design by Home Junction, Inc.
Based on information from CARETS as of April 18, 2019 16:38. The information being provided by CARETS is for the visitor's personal, noncommercial use and may not be used for any purpose other than to identify prospective properties visitor may be interested in purchasing. The data contained herein is copyrighted by CARETS, CLAW, CRISNet MLS, i-Tech MLS, PSRMLS and/or VCRDS and is protected by all applicable copyright laws. Any dissemination of this information is in violation of copyright laws and is strictly prohibited. Any property information referenced on this website comes from the Internet Data Exchange (IDX) program of CRISNet MLS and/or CARETS. All data, including all measurements and calculations of area, is obtained from various sources and has not been, and will not be, verified by broker or MLS. All information should be independently reviewed and verified for accuracy. Properties may or may not be listed by the office/agent presenting the information.